Journalists, you guys. Does it naturally draw the sanctimonious or do you just have to be that way to apply for the job? And is any profession more self regarding? If I have to read another defence of journalistic free speech/vitriol against regulation/hagiography of the Reporter, praising the nobility of taking photos of lady celebrities’ vaginas I will… not be remotely surprised. Like shoegaze was known in the early 1990s, journalism is the scene that celebrates itself. Except, you know, shoegaze was actually worth listening to. So it is wonderful that Lionel Shriver’s book, written in 1998 and full of this smug, self important type has been released now. If I needed another reason to be a fan of hers after So Much For That (my favourite book of 2010, and in our shop for only $19.99! Though the trade off for that is a TERRIBLE cover). It follows misanthropic former lawyer Edgar Kellogg, who all his life has longed to be a larger-than-life character, someone popular on whom every conversation would hang, someone that inspires awe, instead of merely a follower. Ironically it is his following of his old high school idol Toby Falconer which leads him to journalism as a method of becoming this person. Kellogg is posted to Barba, a backwater, desolate province of Portugal which is nonetheless home to a violent terrorist group, the Soldados Ousados de Barba or SOB (lol good one Shrives). Mysteriously, attacks claimed by the SOBs (still funny) have dried up, just as Kellogg’s predecessor Barrington Sadler (just the type of person who Kellogg wants to be) has disappeared. What follows is a rollicking romp (yup) which, while definitely humorous in tone, has a lot of questions to ask about terrorism, journalism, ethics, and, to lamely quote the blurb, “What makes charismatic people so magnetic, while the rest of us inspire a shrug? Whats their secret? And in the end, who has the better life – the admired, or the admirer?”. 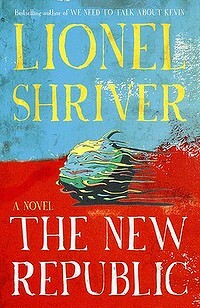 As usual, Shriver’s writing is crackling and full of attitude (I hate myself for saying that but it’s true), and she vividly brings Barba to life in such a way that you never question it’s awfulness. The characters too are highly entertaining, characters, especially the collective of fellow journalists and Edgar’s mental image of Barrington, with whom he converses often. 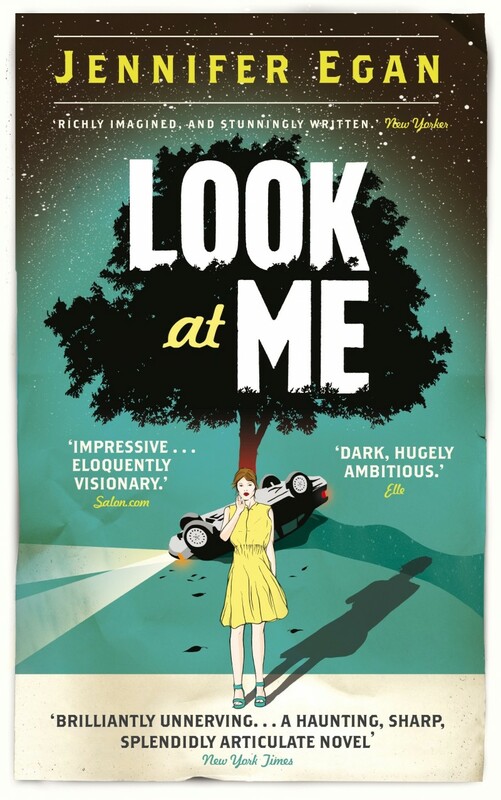 An important theme in the book is how we perceive things: Edgar is a master of ‘inversion’, or how the same fact can be presented in two diametrically opposed ways, which allows him to see the positive side of the thoroughly un-positive things he is doing, and his slide into immorality, like the metaphorical train wreck, is engaging in a horrible way, and even though you know what’s going to happen it’s still it remains eminently readable. Also, unlike a train wreck it’s hugely fun. I am on a lucky streak! Loved The Sense of an Ending, hadn’t read the other, it won! Refused to read Salvage the Bones, it lost! Just finished The Tiger’s Wife, loved it, it won! Watch out Steven! Here comes The Marriage Plot ftw! No, I sincerely think my luck will have run out by then. I want The Marriage Plot to win first round just as much as Steven wants it to lose, but I am very worried that my run will have been used up by then. But I am happy for it to be used up on The Tiger’s Wife. Loved it. LOVED it. I literally just finished it about half an hour ago which I know always helps but still I thought it was great. It’s my new personal Sisters Brothers. But with a better title. The deathless man and the tiger’s wife are both stories of fear and awe, possibility and impossibility and Tea Obreht tells them simply and lyrically. Her style effortlessly swoops from folk tale to harsh realities and past to present. She perfectly catures a plausible, passionate and not in any way twee relationship of grandfather and grandaughter. 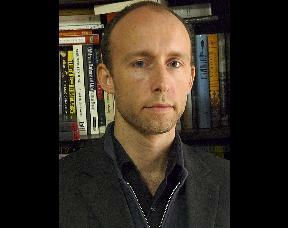 Meanwhile all this is set against a history of war and violence in the region, unobtrusive yet influential. And it’s her first novel. And she’s only 26. And she wrote it when she was 24! I am so, so jealous of her talent. May I add that I don’t think the attacking of the judge was fair or justified at all? And as some further comments have said that sometimes judging reveals more about the person than the book, perhaps attacks on the judge reveal more about the attacker than the judge? But I definitely recommend The Tiger’s Wife to anyone. ANYONE. Apart from being enjoyable it’s also, as Bethane Kelly Patrick comments, significant, full of big questions and demands active reading. Steven, care to weigh in? Steven: Nope. They’re both in store? At the wallet pleasing price of $19.99 each! Fay: For once I’ve actually read both books. Quel excietment! I’ve talked about 1Q84 in a previous review so feel free to refer back for my explicit praide of the books. I’m sorry if I overlap. 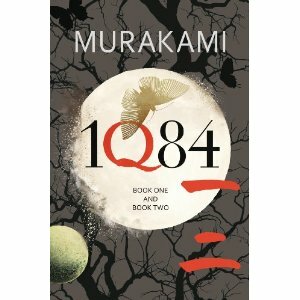 1Q84 follows the dual stories of Aomame, a gifted personal trainer who kills irreperably violent men who beat their wives. She is self contained and largely friendless, but has a secret and perfect love that keeps her going. Tengo is an aspiring writer convinced to ghostwrite a crazy story written by a seventeen year old so that it will win a prize and shake up the literary world. But she is a very unusual girl and the usually chill Tengo finds himself getting involved with cults, private detectives and hiding missing people. Aomame gets similarly involed and although their paths do not interesect together they tell to story from different angles, revealing different information and insight into a reality that can’t possible be true. So I complained a lot about 1Q84. I know I did. It made me feel better about spending weeks wading through the biggest book I think I’ve ever read. I think I actually read The Last Brother during one shift at work WHILE I was reading 1Q84. BUT that being said I enjoyed every minute I spent reading it! I honestly did. 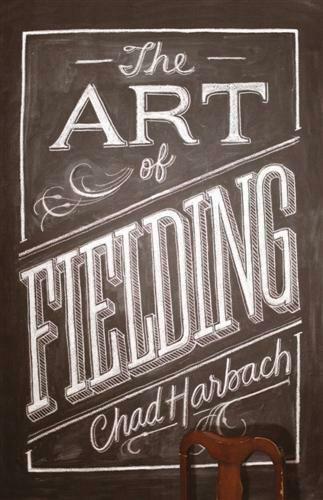 I found it immensely readable, very wacky, excellent fun. And not just fun, also interesting thoughts about love and space and time and justice and parenting and the nature of reality. I was excited to get back to reading it, even though it was a complete pain to hold up in bed. Sure, there were flaws. Putting the three books into one meant that there was some overlap at the start of each new section as they explained what had just happened. NOT NECESSARY when you’ve just read what just happened. And it would have been such an easy edit/rework to sort that out! Also I found some of the translation a little clunky. BUT AGAIN, I loved reading it. For weeks! I didn’t get sick of the story, the characters, the general weirdness or the unusual dialogue. I think that’s quite an achievment. The Last Brother on the other hand is very very short. 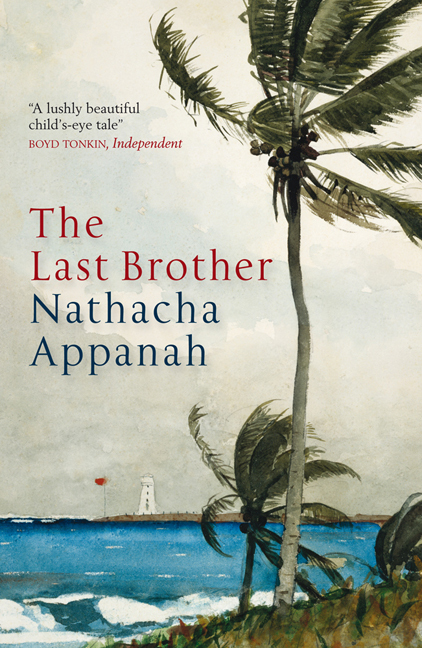 Translated from the French, it tells the story of Raj, a young boy who lives with a violent father in a secluded spot on a Mauritian island. Poor and friendless he takes to following his father to the jail where he works as a guard. Here he encounters David, a young Czechoslovakian boy who has excaped from his home and the Holocaust to find refuge in then Palestine, only to be turned around and sent to jail. The two lonely boys become friends but when Raj decides to break David out of prison the results are…. not good. I think the jusge made this point (more or less) and that was their reasoning for awarding the win to 1Q84. But I disagree with their judgement that is was 400 pages too long (maybe 200?) and I also disagree that the end fell apart. I thoguht the introduction of the noir element was a successful way to draw the book to a finishing point and a climax to the ending. I think it was even better than Misha Angrist gave it credit for (for more check my previous post). I also agree with the commenters who found the The Last Brother was emotionally manipulative. I agree that it sometimes felt like it was working for you to cry, which actually worked against it’s sadness at some points. Steven: Nope, haven’t read either. Fay: Ok, so in summation: my favourite won, both good books, both in store, come by them now. 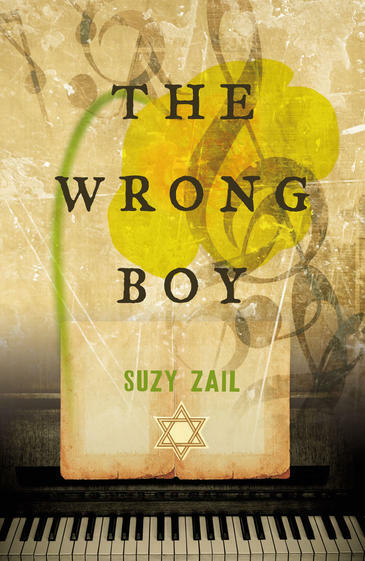 I’m sure you were all extremely disappointed to miss your regular dose of petty sniping and vaguely book related talk so I have decided to make up for it by telling you about a book I’m reading at the moment, The Wrong Boy by Suzy Zail. WARNING! This is a rave, completely devoid of snide comments and lame jokes, so if you were looking for a Chatz on Sat(urday) replacement I’m sorry. You’ll just have to go bicker with your own brother or similar. This book is amazing, starkly and brutally depicting the horrors of Auschwitz while at the, same time, a human and touching story, beautifully told. While it’s marketed as a young adult novel I think is it (another) one of those great books that crosses over for an older reading audience. As in Morris Gleitzman’s Once series, the disbelief and innocence of a younger protagonist matches our own disbelief and inability to comprehend what happened. Hanna is made vivid due to a wonderful mix of emotions: fear, hate, anger, shock, determination all bound together by love. The book also takes a fascinating look at the politics within the camp, from the brutal block leaders to the Polish prisoners who hate Hanna and her companions for their bodies still working. The Wrong Boy is definitely a book worth reading for people of any age!